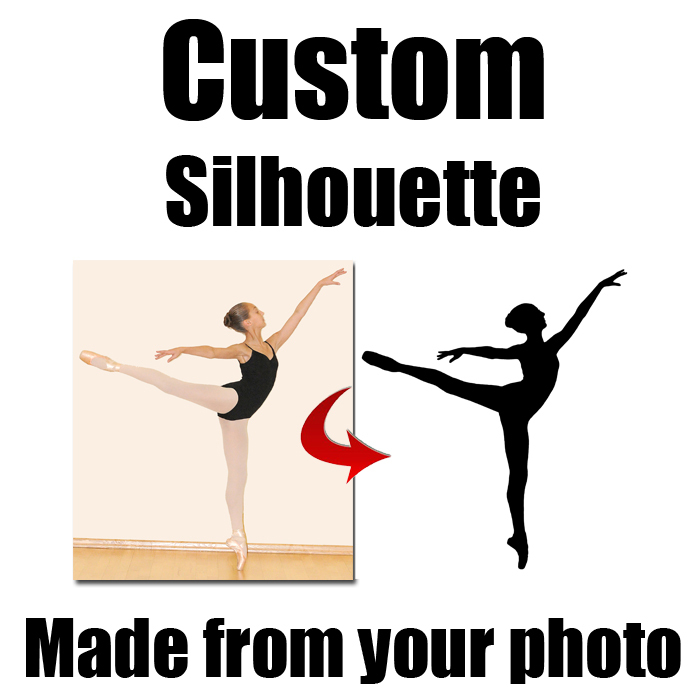 Want a CUSTOM SILHOUETTE made from your OWN photo? It's easy! 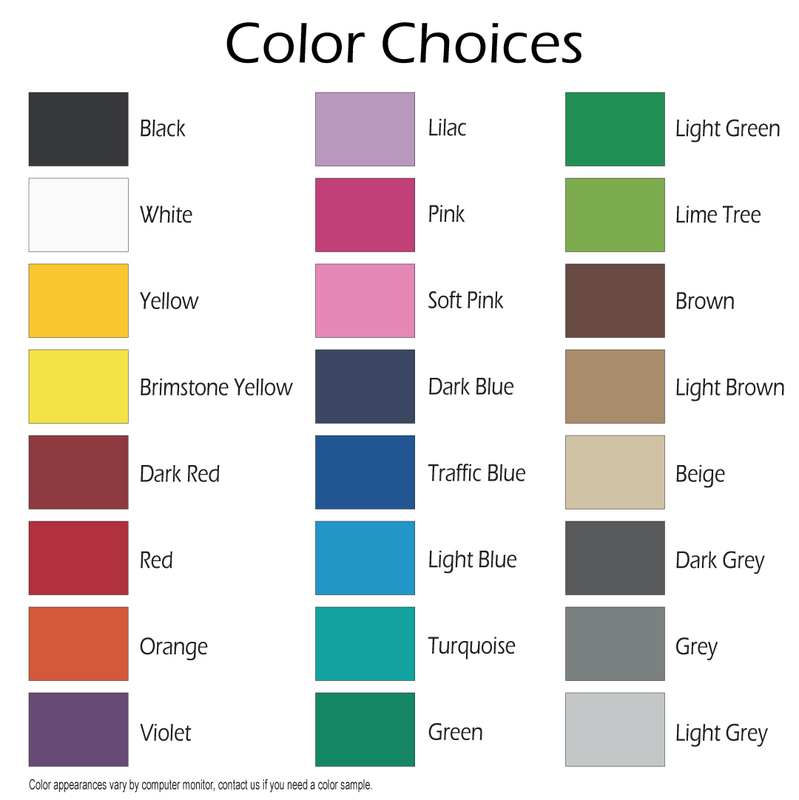 Just specify the size and color, note any special instructions, upload your photo, and checkout. That's all! We'll email you a proof in a few days and after your approval, your custom silhouette decal. • Fast Shipping – Allow 6-12 business days for delivery (US). If you would like your custom silhouette decal a specific size, tell us in the special instructions box (how tall or wide you want it). Otherwise, we will make it as large as possible (according to the size limit you purchase). 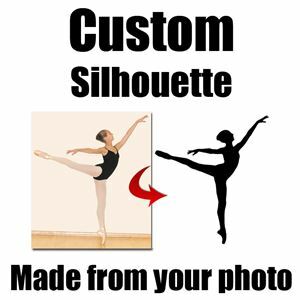 If you have multiple photos and are not sure which one will make the best silhouette, we can help! Simply checkout without uploading a photo and then reply to our order confirmation email with your multiple photos as attachments. We'll give you free professional feedback. 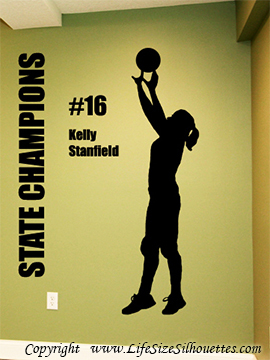 Our custom silhouette wall transfers (decals) are durable, easy to apply, and very realistic. They are so thin they look like they are painted on the wall but a lot more crisp looking. 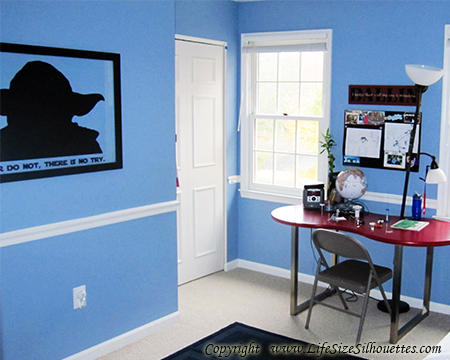 Our permanent vinyl is waterproof (washable) and resistant to UV rays, fading, and tearing. It's great for outdoor settings or public areas. Our removable vinyl is also high quality, but offers easy removal. Higher resolution (larger) pictures make better custom silhouettes. Please send us the original image from your camera (the largest file). Some computer programs, such as Picasa, shrink photos for emailing. A full-size digital picture should be at least 1 megabyte (1MB=1000K). If your photo is 4MB or larger, checkout without uploading a photo and then reply to our order confirmation email with your photo attached. For multiple copies of your custom silhouette order subsequent copies from our Additional Copies option in the Custom Decals product category. Not sure if your photo will work? Email your photo(s) to for a free evaluation. Higher resolution pictures make better silhouettes. Adjust your camera to the maximum picture size (resolution) in order to create a larger more detailed photo. Spaces are good. Use spaces between body limbs whenever possible. Spaces between limbs help give the silhouette definition. Limbs flat against the body with be part of the body mass. Just a half inch of space helps a great deal. Keep hair styles to a minimum. Keep hair simple and crisp. When possible, have space between a pony tail and the back of the neck. Curly hair does not look as curly in a silhouette, it only has wavy edges. Use a solid color background. Whenever possible, have your subject in front of a solid color background. If your subject has light skin or clothing, use a dark background. If your subject has dark skin or clothing, use a light colored background---create contrast. Try to eliminate shadows by not having the subject to close to the backdrop, changing lighting direction, and turning the flash off. Capture your entire subject in your photo. We can't add feet to a silhouette that does not have them. Get a true profile. Be sure you are parallel to your subject and on the same level. If you are higher looking down, or at an angle, proportions change and chins merge into shoulders. Take lots of pictures. The more shots you take, the more likely you'll capture a winner. Remember, you are free to send us several pictures and let us help you decide which one will make the best silhouette. Be you! The more natural you are, the more natural your silhouette will look. Proceeds from your purchase go directly to Worldwide Education Services, a public charity dedicated to improving lives through education. Life can be so much more!